RemedyBornMuzik: RemedyBorn Presents ATL Nights! Wednesdays! 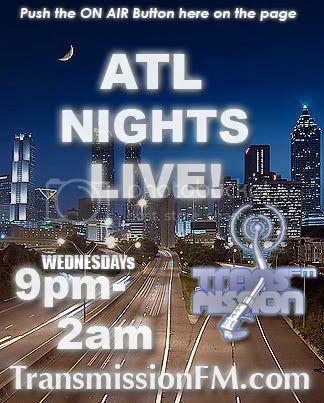 RemedyBorn Presents ATL Nights! Wednesdays! HipHop & R&B muzik from 9pm-2am. your SHOUT OUTS Played LIVE on "ATL WednesdayNights" CALL.. 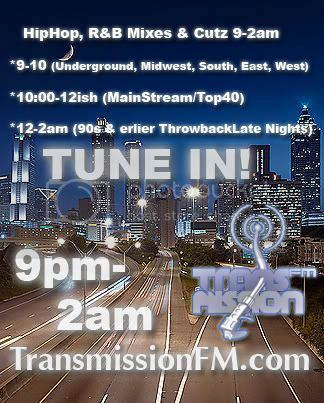 Shouting out RemedyBornMuzik, TransmissionFM.com & of course U & who ever!.